It’s been a few weeks since New York Comic Con and I’ve finally had time to unpack, go through all of my swag bags, and read a bunch of the comics and books I brought home. I should preface this by saying that NYCC is my nerd Christmas and this year they really outdid themselves! From the panels to the live interactive experiences, NYCC 2017 turned it up to 11. The weekend was an exhausting, exhilarating whirlwind of fun spent with 100,000 plus of my favorite people, fellow fans. NYCC never disappoints when it comes to finding the strange and unusual, one year I even purchased the cutest little preserved pig fetus in a mason jar (don’t ask). This year I found some truly unique things from cosplay to comics, no pigs this year but I did get the gift of a visit with my favorite Piggy. The most meta of meta! 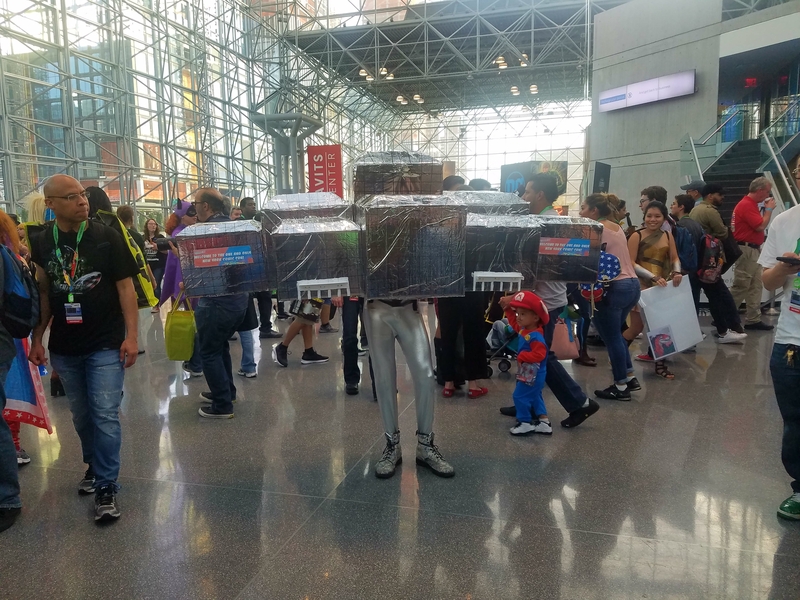 Someone actually cosplayed as The Javits Center at The Javits Center, the convention space that has been home to New York Comic Con since 2006. To date Scott Snyder’s tweet about this cosplay has over 200,000 likes and the unknown cosplayer was written about by everyone from Mashable to Business Insider. That’s pretty good PR for the cosplay scene! 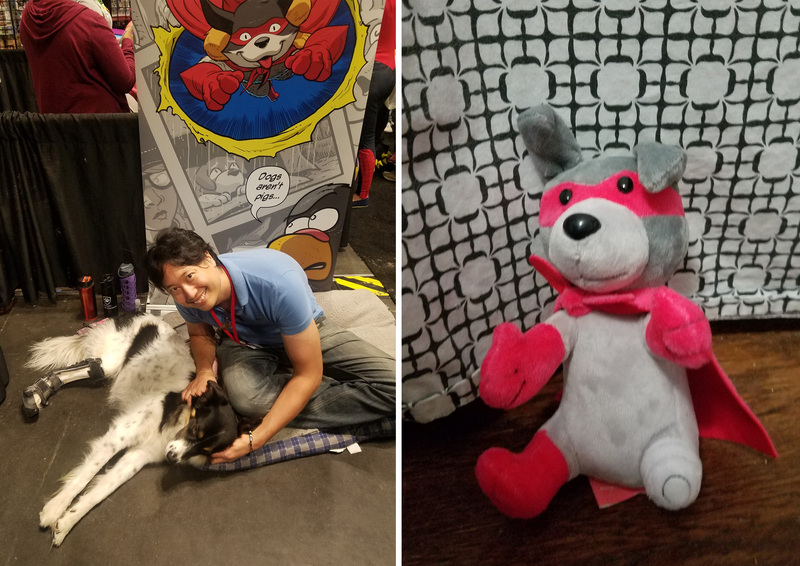 Simplicity, the sew-it-yourself giant, teamed up with Cosplay Culture Magazine to bring one of the most unique retail booths to New York Comic Con 2017. 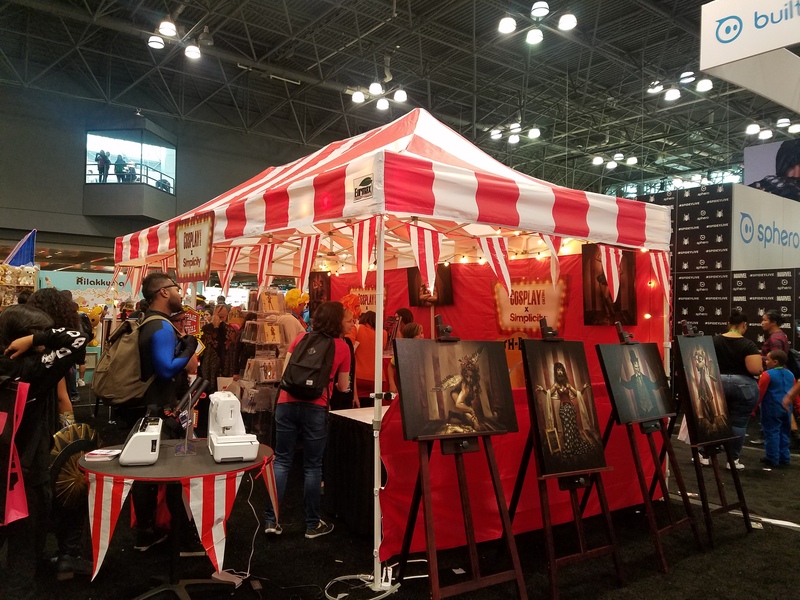 The red and white carnival tent, and sideshow posters by J. Rullison gave off an American Horror Story-Freak Show vibe that caught my eye from across the showfloor. There were live acrobats, carnival games and contests to add to the midway atmosphere. For those looking for cosplay patterns Simplicity’s was the booth to visit—cotton candy not included. The Walking Dead has had a big presence at New York Comic Con since the TV series debuted in 2010. The show’s characters are on the convention badges, TWD merchandise is everywhere and the panel for the show—which includes many primary cast and crew members—has become so popular that it is now held at Madison Square Garden to accommodate the large numbers of fans. People camp out for hours before MSG opens and spend their entire day in the theater just to be sure they secure a seat. Personally I have not missed a Walking Dead panel since the first one in 2010 which was held one week before the AMC show premiered. Back then the attendees were primarily fans of the comic since the hype for the TV show hadn’t started yet. 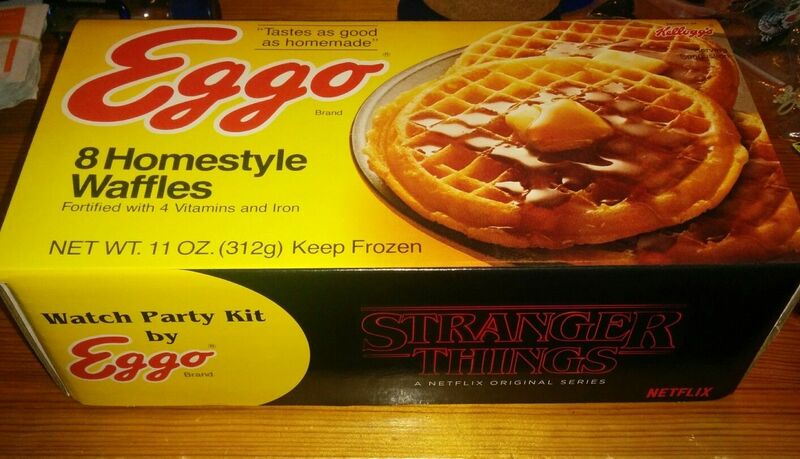 It has been thrilling to watch the the series and the fandom grow as every year more people discover the show. The panel has now become the most sought after seat of the entire four day convention. Throughout the weekend TWD prizes were given out and I was lucky enough to get two of the best ones. 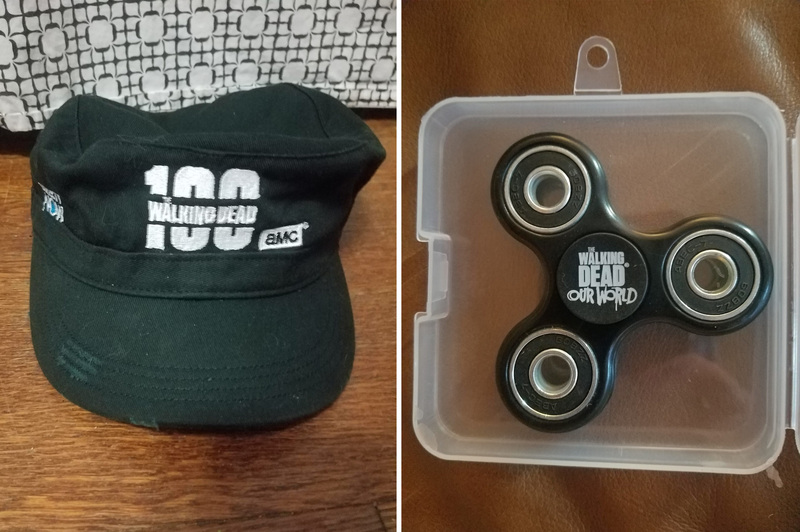 The Walking Dead fidget spinner and the coveted 100th episode hat. Be sure to catch The Walking Dead when season 8, the shows 100th episode, airs on Sunday October 22 at 9/8c. On AMC. 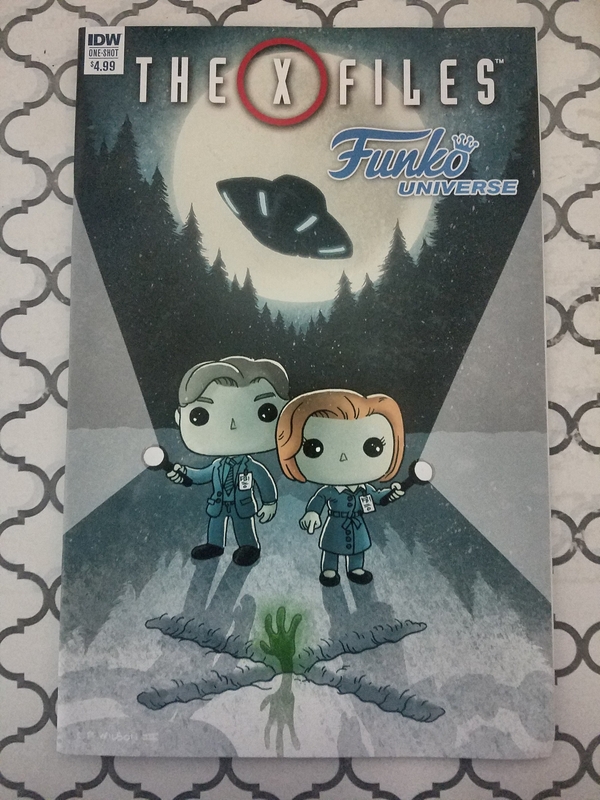 Since I already own the Mulder and Scully Pop figures (a gift from my favorite intern) and am a big The X-Files fan, I geeked out when I saw this special issue from IDW. The X-Files Funko Pop crossover is part of a series that included Teenage Mutant Ninja Turtles and Ghostbusters issues. Although the comics premiered this past spring, this was my first look at the books. The four short stories in The X-Files issue showcase classic The X-Files scenarios such as Scully’s refusal to “believe” regardless of the evidence in front of her and Mulder’s pencil ladden office ceiling. My favorite thing about this issue is that the cover art by Charles Paul Wilson III is so adorable I might just have to frame it and hang it on my office wall. Piggy is a not only a real life three legged dog but, he is also the star of his very own comic book series! I should start off by letting you know, I am not a “dog person.” I am especially nervous around bigger dogs. But Piggy won my heart when I first met him at an event several years ago. This super special dog has the calmest vibe of any animal I’ve ever meet. Whenever Piggy is at a convention I’m at I have to stop by to get in some Piggy petting time. Its seriously therapeutic. That’s not just my opinion either. In real life Piggy, a three legged sweetheart, is a therapy dog who visits children affected by trauma. Having a history of surviving trauma himself he seems to just know how to be a healing presence. Piggy’s alter ego is the star of the 4 issue comic book A Piggy’s Tale by Tom Emko and Ethan Young. I own all four issues and love all of Piggy’s adventures so I was thrilled to be able to pick up this adorable Piggy plush to keep me company between real life visits.